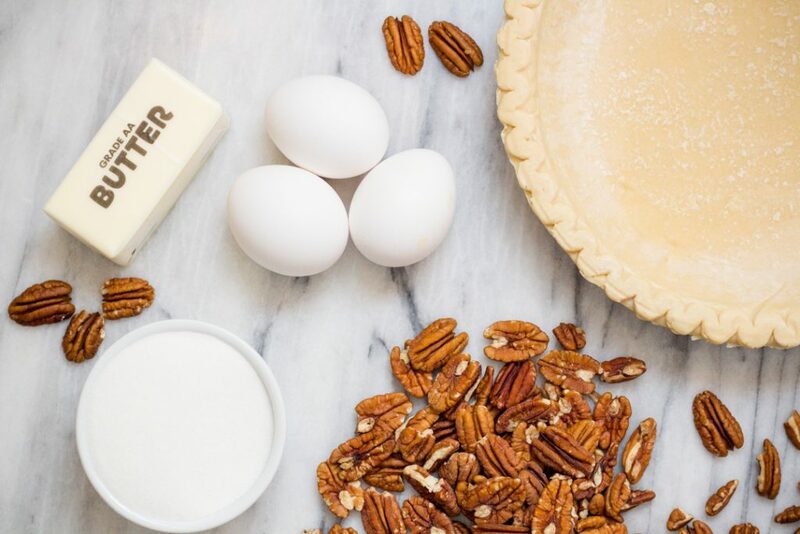 Making a Pecan Pie is so much easier than you think. With only a few ingredients this nutty pie whips up in less than 2 minutes ready to be baked. 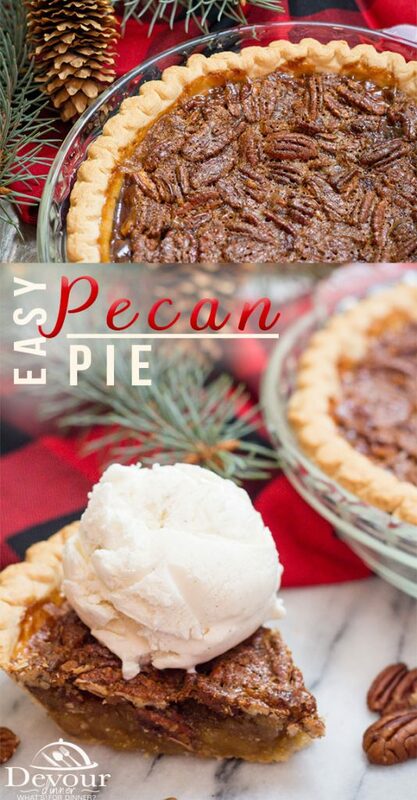 Enjoy your Holiday Favorite Pie with this super simple Pecan Pie recipe. 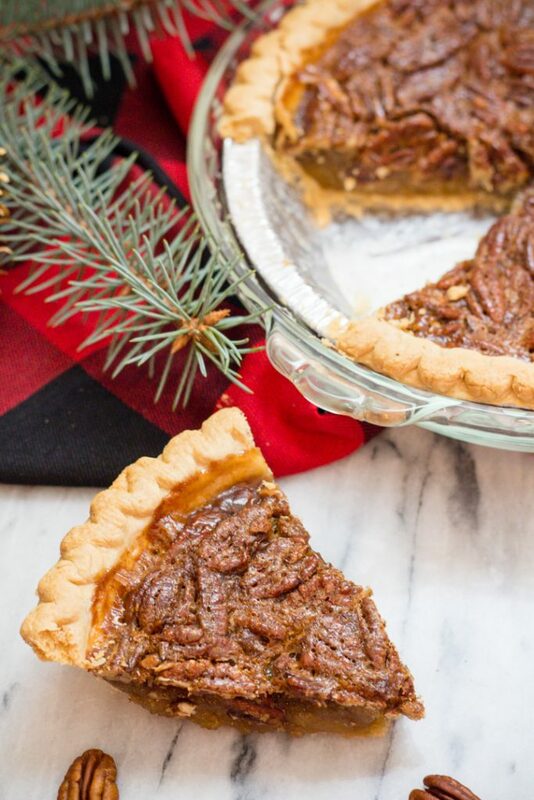 When I think of a Pecan Pie, I think of my father or grandfather. I think of an older generation as they just seem to appreciate this more mature type of pie I suppose. And then I had a piece and realized that the older generation was holding out on us all. They didn’t want to share this amazing pie. The tradition continues as I allow my boys to pass this by. That’s okay, more for me! There are many Pecan Pie Recipes, each with a little variation. I like this simple recipe because it has so few ingredients and it can be thrown together in minutes and then baked. Sometime simple saves the day, right? It seems you can never bake just one pie, you always need one or two more! I try to balance my pies with other great options that people like. 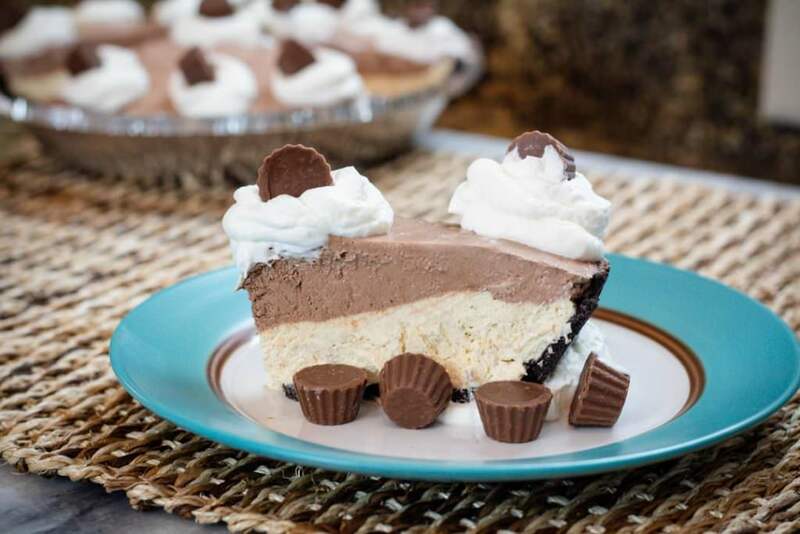 Besides Pecan Pie, we also love a Chocolate Peanut Butter Cheesecake Pie. It’s easy to make and a great freezer pie. Meaning you can make this ahead of time and pull out to thaw before you need it. Another Pie that is beyond simple is a Chocolate Symphony Pie that uses only 3 ingredients. WOW. This is a pie my boys learned how to make when they were younger. This is also a freezer pie and can be made early and kept frozen. What is a Pecan Pie? Pecan Pie is a pie made with Pecans, a nut. It typically also has sugar, corn syrup and eggs. 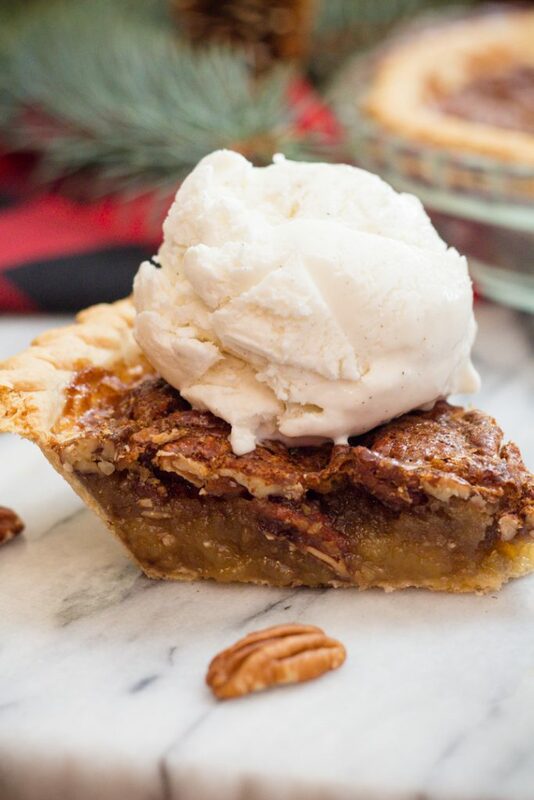 It’s a holiday favorite Pie for many and just plain good served with vanilla ice cream. 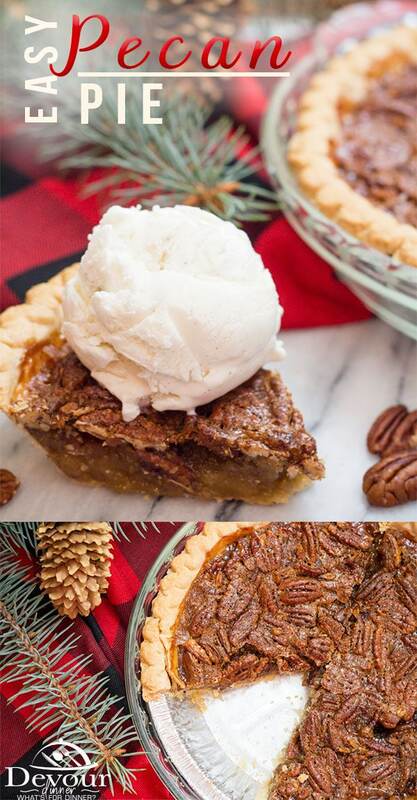 How to make Pecan Pie? A Pecan Pie is baked about 35 minutes. To check for doneness, insert a knife into the center. Knife should come out clean and the center should be solid. 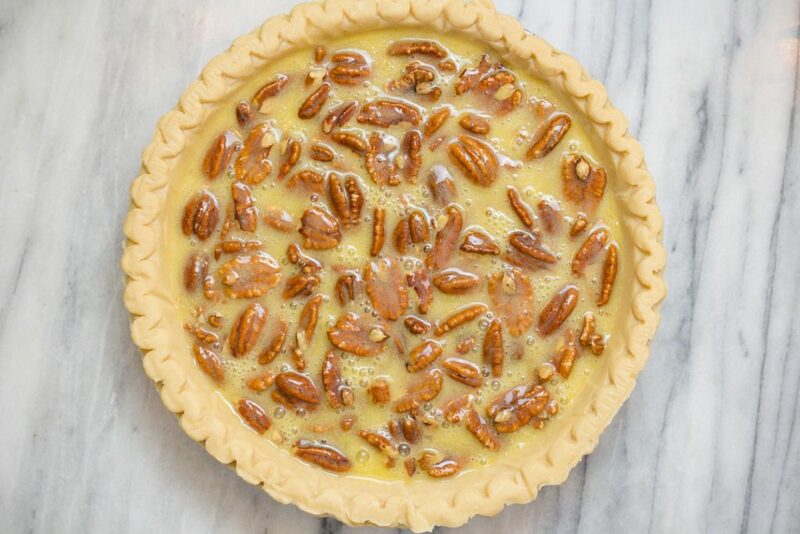 The internal temperature of a Pecan Pie should be about 200 degrees. 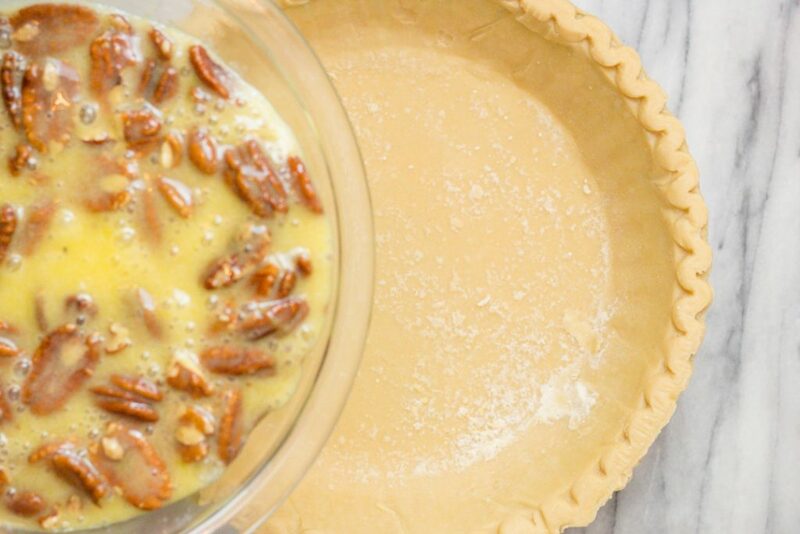 Should I refrigerate my Pecan Pie? It’s always great to be cautious with foods. Bacteria can grow between 40 degrees F and 140 Degrees F. It’s important to keep your pie in the refrigerator after it has cooled to not allow any bacteria to grow. 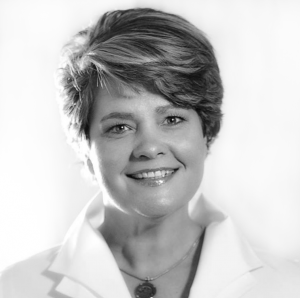 Is Pecan Pie Gluten Free? Pecan Pie CAN BE Gluten Free. 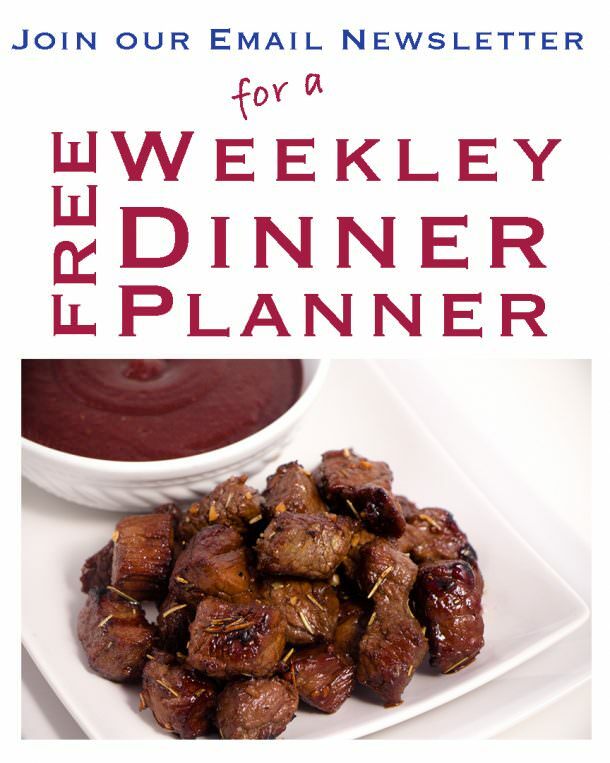 You would need to use a Gluten Free Pie Crust or make on from scratch. The remaining ingredients are gluten free. 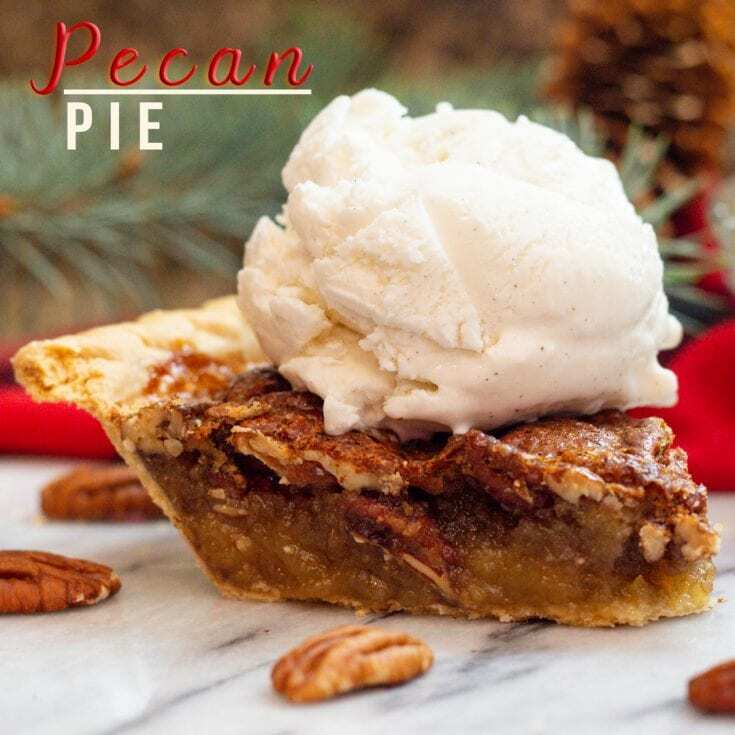 Did you know that Pecan Pies can be frozen? Well they can. Make this quick and easy pie well before you need it and wrap it up in plastic wrap and then foil and freeze. To thaw, remove from freezer and allow to sit on your counter until room temperature. Delish! 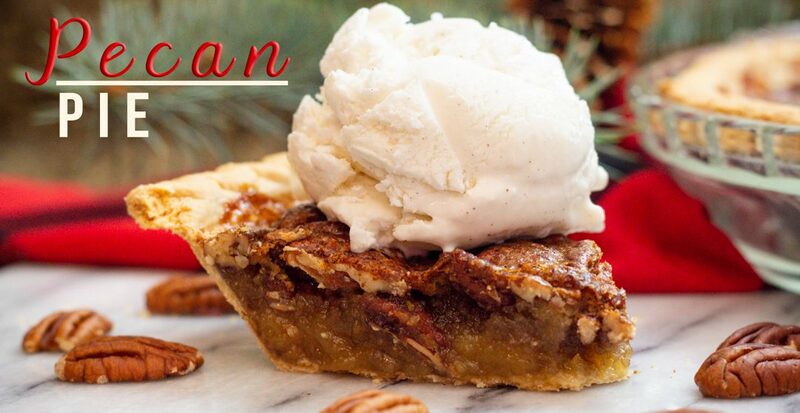 Pecan pie is a Holiday pie made with a filling of eggs, butter, and sugar. It's a nutty goodness served with Vanilla Ice Cream. Shhh... The secret is you can whip these ingredients up in 90 seconds ready to bake. Super simple recipe. In a mixing bowl add Sugar, Corn Syrup and Butter. Mix with a fork to combine. Add eggs one at a time mixing with a fork. Add Pecan's and stir until all are coated. 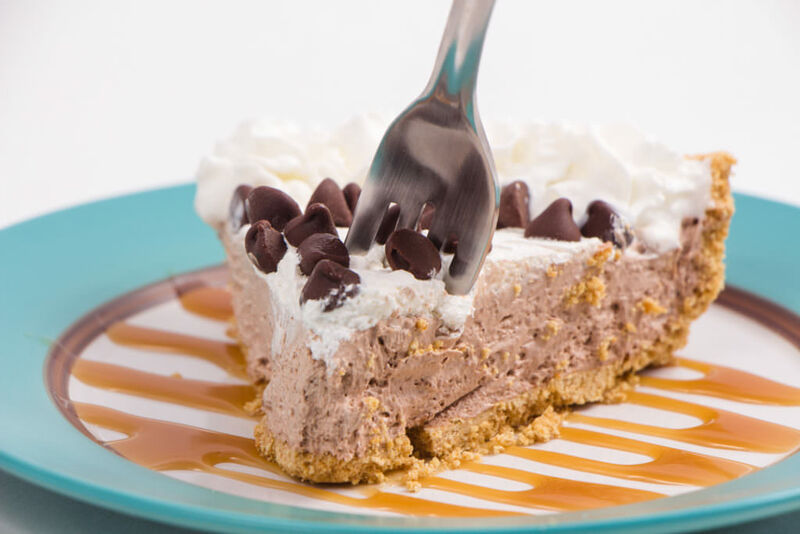 Pour into a frozen pie crust. Allow to sit for 5 minutes. This allows the pecans to lift to the surface of the pie. Pecan Pie can be made a head of time and frozen. Allow pie to fully cool, wrap in plastic and foil well and place in freezer. To Thaw: Remove from freezer and place on counter for 3-5 hours or until it reaches room temperature. Enjoy! Substitute: You can you Pecan Pieces for this recipe as well. It won't change the taste just the look of the pie and will save you a few pennies on the cost of the nuts.